It's hard to believe that we just opened the year and that I am embarking on my second year as head of school. Of course, I know so much more this year! And that includes people -- it feels good to welcome parents and students back to school and be able to call them by name. I've had multiple returning students talk to me about their commitment to making the year a positive experience for all. It is equally wonderful to see all the new families who come with great enthusiasm and expectation of a super year. I don't think we'll disappoint. Something happened as we opened the year. It started at the faculty meetings when I could feel our hulk of a ship start to turn; we were all heading in the same direction and it felt good. With the work we did last year around how we view ourselves and the language we use to talk about the school, we were able this fall to present where we are to the faculty, first, and then to each set of parents as they registered their daughters. Finally, I shared it all with the students at Convocation. We will do the same with the trustees when they are here in October (though they have been kept abreast of our conversations along the way). We know where we're going; we know what we're about; and we know that we like it. That feels very good! As we went through registration days, Convocation, and then bonding trips and pre-season, the buzz among faculty has been what a great student body we have. The girls have worked to know each other and to get ready to start working in all kinds of directions. One girl came in my office last night to say that she LOVES the new schedule (kudos to the scheduling sub-committee of last year). Several of the new international students, most of whom don't get to see the school before they arrive, have remarked that they are so lucky to be in a place that's this beautiful (wait 'til the foliage season!). No more time for a longer entry. Suffice it to say that we're off to a great start! 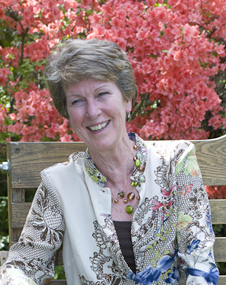 As an alumna (Class of 1969), Sally brings an intimate knowledge of the Stoneleigh-Burnham community to the position of Head of School. She is dedicated to the academic, social and physical growth of each girl, and believes that such development is accomplished by students’ engagement in a close community where meaningful participation is key. Sally’s contributions to this blog allow parents, fellow alumnae, prospective families, and friends a close view into the life of the school from her perspective.